National Geographic or Nat Geo are registered trademarks of the National Geographic Society and are now, sadly, part of the Murdoch communications empire. Its magazine and TV channel enjoy global recognition. Undoubtedly, NG has enhanced our view of the world around us. One piece of NG trivia is that the word ‘tsunami’ first appeared in an English language publication in the September 1896 edition of National Geographic Magazine. Generally, NG has avoided controversy, but not always(a) , so it will be interesting to see how its new chief James Murdoch, a climate change denier(b), will deal with the NG views on the subject up ’til now(c) . However, for me, it was something of a surprise when NG tackled the subject of Atlantis. In 2004 NG News published a short article(d) highlighting the theories of Ulf Erlingsson and Rainer Kühne, who, respectively, were advocates for Ireland and Spain as Atlantis locations. Also in 2004, Zeilitsky and Weinzweig claimed to have found submerged man-made structures near Cuba and subsequently sought US government funding for further research there. It has been suggested that NG objected and further exploration did not take place! In 2006 NG gave the Atlantis in America theory of Zapp & Erikson an airing(e). In 2011 a short article(l)., NG trotted out the now generally abandoned idea that Atlantis had been a continent. The idea was obviously later dumped by NG as well, when James Cameron et al went looking for Atlantis in Malta, Sardinia and Santorini in 2016. 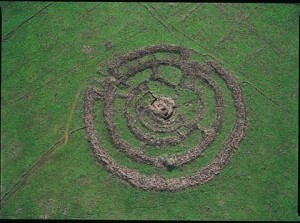 December 2012 saw NG publish an article on Doggerland, without any reference to the suggestion that there might be an Atlantis connection. NG has also voiced the scepticism of well-known commentators, such as Robert Ballard and Charles E. Orser jnr(f). However, I find that the NG treatment of Atlantis inconsistent. In October 2011 an anonymous article(k) on one of their sites, entitled The Truth Behind Atlantis: Facts, declared that Atlantis was continental in size (and so must have been located in an Ocean?) This is based on a misinterpretation of the Greek word meison. Nevertheless last year NG had Simcha Jacobovici, remotely guided by James Cameron, scouring the Mediterranean, from Spain to Sardinia, Malta, and Crete for evidence of Atlantis. This attention-seeking exercise found nothing a few stone anchors that proved nothing and inflicted on viewers an overdose of speculation! NatGeo TV aired a documentary(g) in 2015 relating to earlier excavations in the Doñana Marshes of Southern Spain by a Spanish team and partly hijacked by Richard Freund. A new NG documentary, hyped with the involvement of James Cameron and Simcha Jacobovici, was filmed in 2016, and later broadcast at the end of January 2017. Initially, it was thought by Robert Ishoy to be in support of his Atlantis location of Sardinia, but at the same time Diaz-Montexano was convinced that his Afro-Iberian theory was to be the focus of the film. To coincide with the airing of the new documentary D-M has published a new book, NG National Geographic and the scientific search for Atlantis with both English and Spanish editions. Jason Colavito was promised a screener but had the offer subsequently withdrawn. One wonders why? Once again NG promotes the region of the Doñana Marshes as a possible location for Atlantis(i), based on rather flimsy evidence, such as six ancient anchors found just outside the Strait of Gibraltar. They estimate the age of the anchors at 3,000-4,000 years old but. unfortunately, they are not marked ‘made in Atlantis’. Rabbi Richard Freund, never afraid to blow his own shofar, makes another NG appearance. 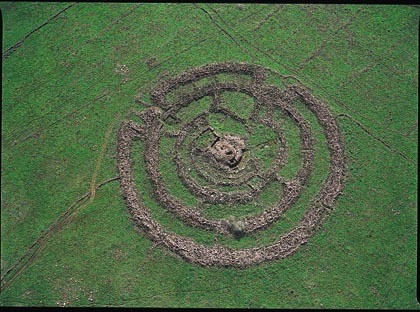 Jacobovici throws in the extraordinary claim that the Jewish menorah represents the concentric circles of the Atlantis capital cut in half, a daft idea, already suggested by Prof. Yahya Ababni(k). What I cannot understand is why this documentary spends time dismissing Santorini and Malta as possible locations for Plato’s Atlantis and at the same time ignoring the only unambiguous geographical clue that he left us, namely that the Atlantis alliance occupied part of North Africa and in Europe as far as Tyrrhenia (Tuscany) and presumably some of the islands between the two. Overall, I think the NG documentaries have done little to advance the search for Atlantis as they seem to be driven by TV ratings ahead of truth. Perhaps, more revealing is that Cameron is not fully convinced by the speculative conclusions of this documentary. Jason Colavito, an arch-sceptic regarding Atlantis has now published a lengthy scathing review(j) of NG’s Atlantis Rising, which is well worth a read. While I do not agree with Colavito’s dismissal of the existence of Atlantis, I do endorse the litany of shortcomings he identified in this documentary. 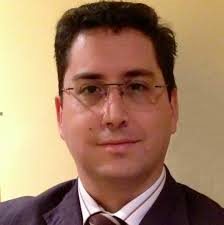 Antonio Moreno Checa is a Spanish telecommunications engineer who plunged into the turbulent waters of atlantology with the publication of La Atlántida. El mito hecho realidad (Atlantis. The myth comes true). In it he argues that Atlantis had been situated in the centre of the Atlantic and that a meteorite impact ‘moved’ it to become what is now Greenland(c). The author contacted Diaz-Montexano for comment(a) and D-M responded with an extensive critique(b). Javier Recuenco Andrés (1973- ) is an IT engineer from Cadiz in Spain. He has a passion for chess, history and mythology. His interest in the latter has led to his publication of a heavily illustrated The Historical Reality of Atlantis in Spanish and English (Kindle only). He begins with an in-depth examination of a ‘Tartessian’ gold disk that led on to an etymological investigation of the ‘K-N’ inscription on it, which he believes referred to the Conii people who settled in what is now southern Portugal. He speculates that the design of the disk reflects the layout of the acropolis of Atlantis! He has suggested that this acropolis was probably located in the vicinity of the Canary Islands. 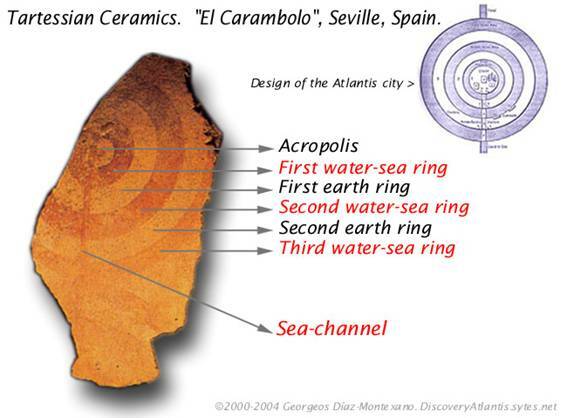 In 2013, Recuenco Andrés and Diaz-Montexano jointly published a paper(a) on the academia.edu website offering comparable interpretations of the disk with the same conclusion that it was connected with Atlantis. Javier dates the foundation of Atlantis during a period between 21,000 and 12,000 BC. Andrés has a hyperdiffusionist view of Atlantis showing rock carvings in North Africa, America, Australia, China and of course his native Iberia as evidence for their global influence. The fall of the Atlantean ‘Empire’ he dates between 12,000 and 9,000BC as the last Ice Age ended. He subscribes to the idea that there was a Gibraltar landbridge, which was breached around 5,500 BC that eventually led to the linking of the Mediterranean and the Black Sea, an event originally revealed by Ryan & Pitman. Javier also believes that Egypt was occupied by Atlanteans from 7000–5500 BC, but that their influence led to the building of the pyramids! 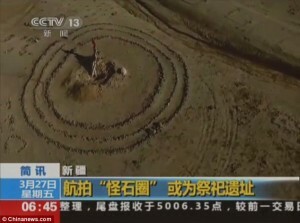 In fact, he attributes the pyramids of China and America to Atlantean influence. He identifies Knossos in Crete as an Atlantean colony in the eastern Mediterranean. In my opinion, Javier has produced an original work, unlike the regurgitated offerings of so many others. Nevertheless, I think his work has too many assumptions based on excusable subjectivity. The Atlantean-Athenian War as described by Plato has not been unambiguously identified with any known conflict. A number of attempts have been made to link the Atlantis story with the Persian Wars, but such an idea is totally at variance with both chronology and geography, for example those wars took place decades after Solon’s visit to Egypt and the Atlanteans had invaded from the west, namely, Italy (Tim.25b & Crit.114c). *In fact what Plato said was that the invasion came from the Atlantic Sea (pelagos). Although there is some disagreement about the location of this Atlantic Sea, all candidates proposed so far are west of both Athens and Egypt. An even more unlikely scenario has been put forward by Diaz-Montexano, who suggests that the war took place in what we now know as the Atlantic Ocean, near Gibraltar. His contention is that the Athenians gradually fought the Atlanteans westward across the Mediterranean until a final battle in the Atlantic outside the Strait of Gibraltar. He maintains that this war took place over a number of years and resulted in the gradual emancipation of Atlantean colonies as they advanced towards the Atlantean capital, before its destruction by earthquake. I find this whole concept rather fanciful for a number of reasons. Diaz-Montexano places this conflict in the 2nd millennium BC, at a time, when the Athenians did not have the naval capability to mount such a sea offensive over 1,500 miles from home and many hundreds of years before the introduction of triremes. There is no documentary evidence or tradition from this era to support such a contention. Plato’s text describes the Athenians defeating the invaders without any suggestion that their war was anything other than defensive. It must also be considered that Plato records (Tim.25d) that the destruction of Atlantis and Athens occurred “at a later time”, meaning subsequent to the war, suggesting that Atlantis survived the conflict. In my opinion, the question of the war between Atlantis and Athens has not yet been satisfactorily resolved, just as the war between Atlantis and Egypt is still the subject of debate. 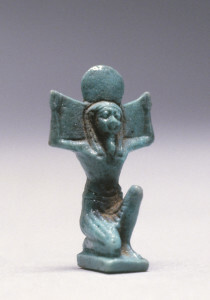 Shu (Schu) was an Egyptian god whose function was to separate the earth from the sky. Shu has been frequently identified with the Greek Atlas. has claimed that he has identified a clear link between the name Iberia and Atlantis. He maintains that Iberia was derived from the Phoenician ‘Yberia’, which means “the island of the God of the Wind or the Air”. 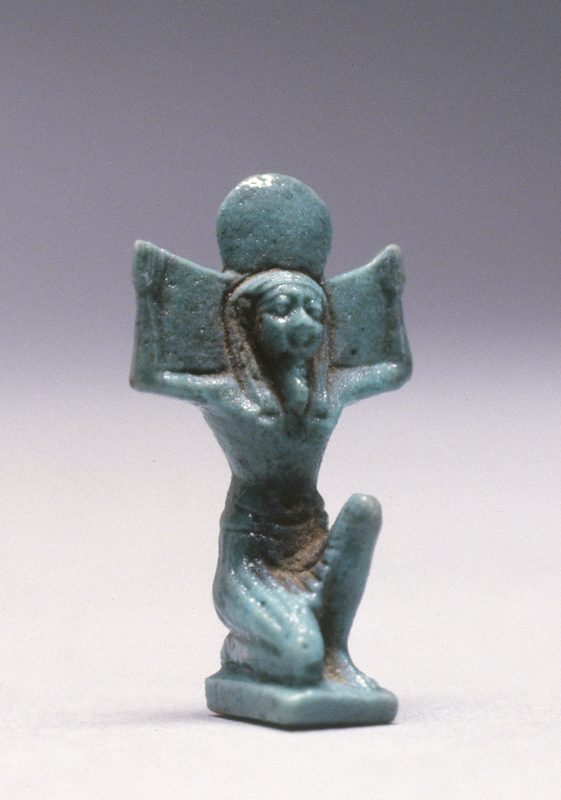 He then equates this with the Egyptian Schuty or Schutet – “the country of the God Schu“. Diaz-Montexano follows this with the relationship of Shu to Atlas and consequently is convinced that there is a clear case for identifying Atlantis with Iberia. Diaz-Montexano has promoted the idea of an Afro-Iberian site for Atlantis for some years. Plato’s Text has reached us through a rather circuitous route. Wikipedia notes that ‘the scholastic philosophers of the Middle Ages did not have access to the works of Plato – nor the Greek to read them. Plato’s original writings were essentially lost to Western civilisation until they were brought from Constantinople in the century before its fall.’ Today there are only seven manuscripts of Plato’s work extant, the earliest of which dates to 895 AD and is now in Oxford(c). It is unfortunate that the earliest versions of Plato’s work available to us are only Latin translations of an early original Greek text. Chalcidius undertook the first translation of Timaeus from Greek to Latin in the 3rd century AD. He translated the first 70% of the text from earlier Greek versions, now lost. The earliest translation of Plato’s complete works into Latin was by Marsilio Ficino in the late 15th century. Janus Cornarius provides us with a Latin translation from earlier Greek sources, apparently different from those used by Ficino. A comparison of the Chalcidius and Ficino translations shows considerable divergences. The Ficino Latin text was in turn translated back into Greek at the Aldina Academy in Venice in the 16th century. Diaz-Montexano has written, in his hallmark poor English, a short criticism(a) of the quality of medieval translations of Plato’s Timaeus and Critiasthat are the basis of the vernacular versions available today. There are legitimate questions that can be raised regarding the accuracy of the text used by researchers and since some theories relating to Atlantis are often dependant on the precise meaning of particular words, this lack of an original text, leaves some doubt over the persuasiveness of individual hypotheses. Many quotations from Plato’s text will have alphanumeric references, which are derived from the 1578 edition of Plato’s works by the 16th century French scholar and printer, Henricus Stephanus, which show his page numbers, and the letters a-e, equally spaced down the margin of each page. Although they bear no relationship to the natural breaks in the debate or narrative, the majority of editions and translations now include them. All of Plato’s Dialogues are to be found on many sites on the Internet. However, we can highly recommend the Perseus website(b) where the works of most ancient authors can be found there in both English and their original languages. It has a number of valuable search tools for both the novice and seasoned student of Atlantology. The Chain of Transmissionof Plato’s tale to us today should be borne in mind when applying any interpretation to elements in the text available to us. We have absolutely no idea how many languages had to carry the story before it was inscribed on their ‘registers’ (Jowett) in Sais, assuming that aspect of the story to be true. The Egyptian priests translated this tale from the pillars for Solon, who then related the story to his friend Dropides who passed it on to his son the elder Critias who, at the age of ninety conveys it to his grandson, the younger Critias, aged nine. Critias then conveyed the tale to his nephew Plato. Platothen composed his Timaeus and Critias dialogues, which eventually reached us through a rather circuitous route. Plato’s original writings were essentially lost to Western civilisation but for the efforts of Muslim scholars who preserved them until they eventually emerged in Western Europe during the Middle Ages, after they were brought from Constantinople in the century before its fall. In due course the texts were translated into Latin from those Greek versions, which are now lost. Wilhelm Brandenstein suggested that Solon had combined two accounts, one from Egypt relating to the Sea Peoples and the other concerned a conflict between Athens and Crete(c). However, this is not convincing as it conflicts with too many other details in Plato’s narrative. Wikipedia notes that ‘the scholastic philosophers of the Middle Ages did not have access to the works of Plato – nor the Greek to read them.’ Today there are only seven manuscripts of Plato’s work extant, the earliest of which dates to around 900 AD. It is unfortunate that the earliest versions of Plato’s work available to us are only Latin translations of the original Greek text. Chalcidius undertook the first translation of Timaeus from Greek to Latin in the 3rd century AD. He translated the first 70% of the text from earlier Greek versions, now lost. The earliest translation of Plato’s complete works into Latin was by Marsilio Ficinoin the late 15th century. Janus Cornarius provided us with a Latin translation from earlier Greek sources, apparently different from those used by Ficino. A comparison of the partial Chalcidius and complete Ficino translations shows considerable divergences. The Ficino Latin text was in turn translated back into Greek at the Aldina Academy in Venice in the 16th century. In chapter two of his History of Atlantis Lewis Spence has produced a version of the Atlantis texts that is an amalgam of various earlier translations ‘acceptable’ to him. Diaz-Montexano has written, in his distinctive poor English, a short criticism(a) of the quality of medieval translations of Plato’s Timaeus and Critias that are the basis of the vernacular versions available today. There are legitimate questions that can be raised regarding the accuracy of the text used by researchers and since some theories relating to Atlantis are often dependant on the precise meaning of particular words, this lack of an original text, leaves some doubt over the persuasiveness of individual hypotheses. It is highly improbable that current texts do not contain a variety of errors when we consider the number of links in the chain of transmission. Many quotations from Plato’s text will have alphanumeric references, which are derived from the earliest printed edition of Plato’s works by the 16th century French scholar and printer, Henricus Stephanus; these show page numbers and the letters A-E at equal distances down each page. Although they bear no relationship to the natural breaks in the narrative, the majority of editions and translations now include them. The entirety of Plato’s Dialogues is to be found on many sites on the Internet. However, I can highly recommend the Perseus website(b) where the works of most ancient authors can be found there in both English and their original languages. It has a number of valuable search tools for both the novice and seasoned student of Atlantology. The Plain of Atlantisis one of the principal features recorded by Plato in great detail. He describes it being “3000 stades in length and at its midpoint 2000 stades in breath from the coast” (Critias 118a, trans. Lee). The shape of the plain is frequently given as ‘rectangular’ or ‘oblong’ and contained an efficient irrigation system that was fed by mountain streams. The fertility of the plain gave the inhabitants two crops annually. The dimensions given by Plato would translate into 370 x 555 km (230 x 345 Miles). However, the late Ulf Richter has recently proposed(a) that the dimensions originally given to Solon by the priests of Sais used the Egyptian ‘khet’(52.4 meters) as the unit of measurement. Possibly Solon recorded the figures without mentioning the units employed. In Ireland today we have just changed over to the metric system but builders still speak and write of using ‘2×4’ lengths of timber without specifying that they are referring to inches. Such notations made at present could be interpreted in the future as 2×4 centimetres. This illustrates how reasonable Richter’s suggestion is. The acceptance of it would give us a more credible 105 x 157 km (65 x 97 miles) as the dimensions of this plain. Richter also maintains that the plain was in fact a river delta, which explains the remarkable fertility of the land. Jim Allen, who supports an Andean location for Atlantis, offers a strong argument against other principal Atlantis candidates by critically examining the plains included in alternative location theories(c). However, it must be pointed out that Allen had to divide Plato’s imensions for the plain by two in order to shoehorn it into his chosen location. While I accept that there is evidence that there was flooding on the Altiplano, it took place some thousands of years before the Bronze Age Atlantis described by Plato and certainly long before he wrote “this is why the sea in that area is to this day impassible to navigation, which is hindered by mud just below the surface, the remains of the sunken island.” (Timaeus 25d – Desmond Lee) This not a description that can be applied to anywhere on the Altiplano during the 1st millennium BC. Apart from that, Plato’s account clearly states that Atlantis was submerged and was still so in his own day, making Allen’s critique somewhat redundant. Diaz-Montexano maintains that Plato never said that the plain was shaped like a rectangle. The number of different locations that have been proposed for the plain is obviously a reflection of the number of sites suggested for the city of Atlantis. I list the most popular below with the added commented that at best only one can be correct and all may be wrong.